We will have Hub locations all over town for you! What is a Hub? It’s a place to meetup with your co-workers, join friends for a group commute, or maybe even park near in order to shorten your route if you’re not ready to tackle the whole way. You can even add them as part of your route for fun, as each Hub has something special in store for you as a reward for riding! Something special like FREE coffee, snacks, fruit or something else to brighten your morning. Make workplace teams and invite your friends too join you at the Facebook Event. 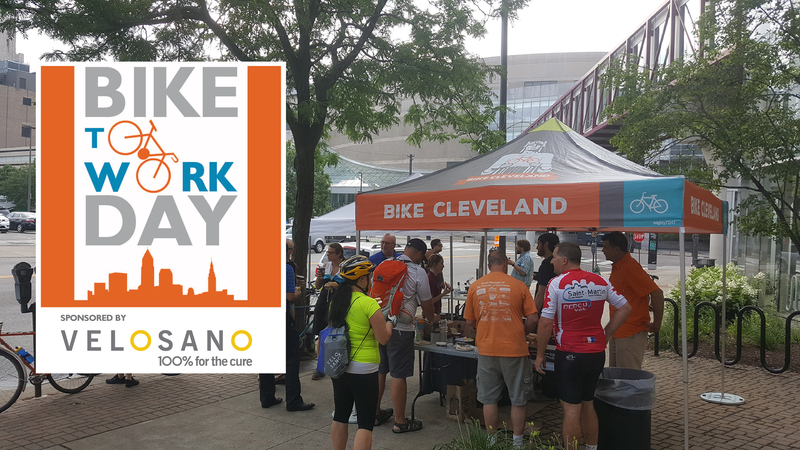 Dewey’s Coffee > 13201 Shaker Square > Free Coffee, water, and muffins for all bike riders. Kamm’s Corners > 5 Points Coffee & Tea > Free coffee and 1 scone for each rider in collaboration with Kamm’s Corners Development Corporation. Plus, Greater Cleveland RTA will have a bus parked at The Bike Rack to show people how to use the front loaded bike racks you see on all the buses in their fleet.